Business vs. customer: Is the customer always right? GRAND HAVEN, Mich. (WZZM) -- You've likely heard the phrase, "The customer is always right." Is that really the case when it comes to complaints on social media? The issue came up between a Grand Haven restaurant owner and a customer who says she didn't get good service. "I'm pretty sensitive today because I'm hurt," said Ralph Allen, owner of a new restaurant called the Grand Haven Brew House. Allen says it all started during Coast Guard Festival. A customer said that her experience was "absolutely awful," referring to a long wait to get inside. She also said there was a long wait for their food. Allen told the customer her comments were "inaccurate" and blamed the festival for the delay. "This is our baby," Allen said. "It's like your child, so your natural reaction is to be defensive." GRAND HAVEN, Mich. (WZZM) -- Each year, folks in Grand Haven get to enjoy building art in the sand at the Sand Sculpture Contest, held annually at Grand Haven City Beach. Now, Castle Grande offers another opportunity for the community to enjoy sand and sun with the goal of building the tallest and widest sandcastle Lake Michigan has ever seen. The sand sculpting troop Sand Fanatics leads the annual charge at the city beach. This year, the final castle stands at nearly 8-feet tall. The event was hosted by the Grand Haven Chamber of Commerce. 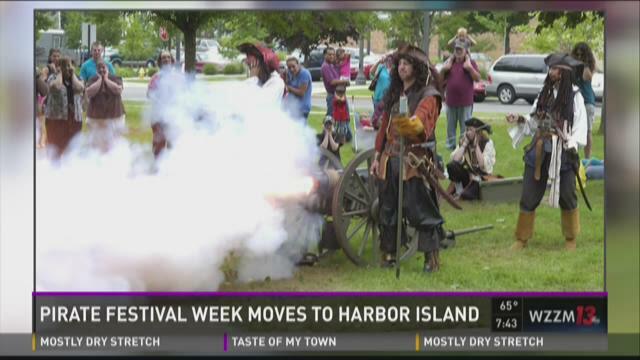 GRAND HAVEN, Mich. (WZZM) -- Don't be surprised if you see some pirates along the Lakeshore this week. The Michigan Pirate Festival in Grand Haven began Monday. Pirate re-enactors from across the state will appear as both historic and fantasy versions of the scourge of the high seas. GRAND HAVEN TOWNSHIP, Mich. (WZZM) -- Emergency crews have contained a small chemical spill at the Grand Rapids water filtration plant in Grand Haven Township. The incident happened around 8:15 a.m. Wednesday. The facility is located at 17350 Lake Michigan Drive. No injuries are reported and there is no threat to the water supply or to Grand Rapids' Water system customers. 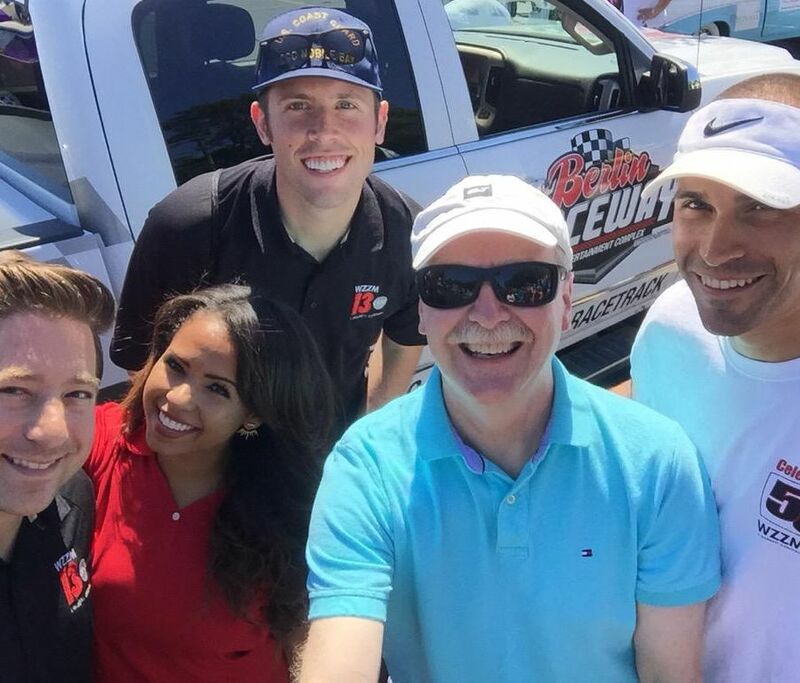 GRAND HAVEN, Mich. (WZZM) -- There are still two more days left to make it out to Grand Haven's Coast Guard Festival. The carnival is in full swing, and you can still tour some of the coast guard ships. Organizers say that while festival goers have a great time visiting, it has special meaning to people who live in Grand Haven. The Meijer Grand Parade is Saturday at Noon, crowds of more than 100,000 are expected to line the city streets. GRAND HAVEN, Mich. (WZZM) -- The Grand Haven Musical Fountain is once again drawing big crowds, after a recent upgrade. You may have wondered how the operators make the music, water, and light work in perfect harmony. WZZM 13 goes underground to explore the secrets of the musical fountain. It's one of the world's largest musical fountains, and the oldest one in existence in the United States. Building the musical fountain took about a quarter of million dollars, and a lot of volunteer hours, and a lot of donations. It was originally designed by a man named William A. Booth. It has more than 1,000 nozzles. It's 240 feet long. An average show lasts about 20 minutes. And it takes 300 hours to program the average show. Under the musical fountain lies the equipment that shoots out water and light in a show coordinated with sound. Watch the video above to take a tour.